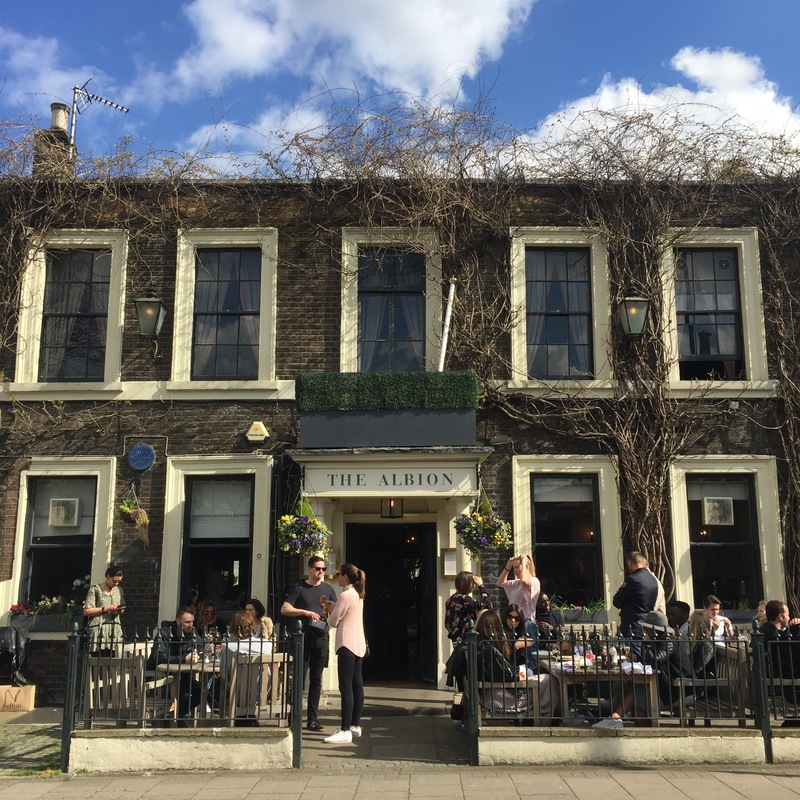 The Albion is furnished like most of the pubs in London, being woody and all – classy, but it’s got something better to offer, which is a lovely outdoor garden where you can enjoy the sun (and avoid the sunburn or the scorch) under the shade of willows. So when I was asked if I want to be seated outside, the answer was a fast and immediate yes. I am a fan of cold cuts and charcuterie boards, and this one has got good variety. The meat itself is good, giving that salty and appetising start to a meal, albeit not astoundingly good. What makes me give it a thumbs up was the fig chutney – fresh and bright fig sweetness, and goes so well with everything on the board. Even the waitress honestly admit that “for 2” is an understatement of the portion. It’ll take at least 2-3 full-grown male to finish the whole chicken. My friend very gentleman-ly let my girl-friend and I take the drumsticks and had the (supposedly) more coarse chicken breast himself, and his kindness is deliciously rewarded. Crispy honeyed skin and meat was tender all through. The sage and onion stuffing brings out gratifying fragrance. It is a nice way to spend your afternoon under the sun. One final word: Do book in advance!